It’s all about electricity and CIRCUITS! Think of Makey Makey like an external computer keyboard, but with all the keys ripped off so you can mess with the circuits underneath. 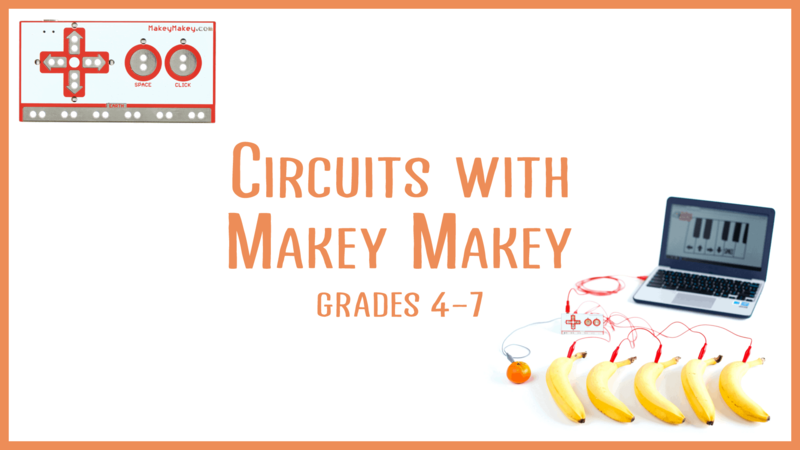 Using the Makey Makey, you can add any conductive material to the circuit and turn it into a keyboard key! The possibilities are endless! 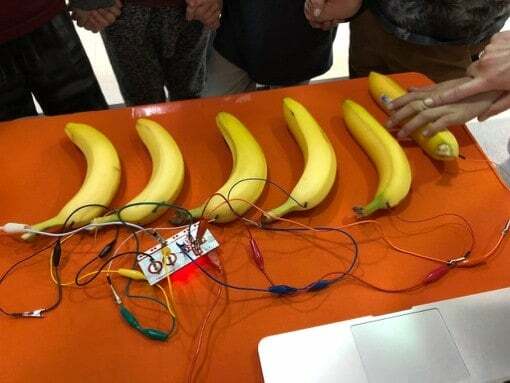 We can build pianos out of bananas, game controllers from gummy worms, or even turn your classmates into keys!